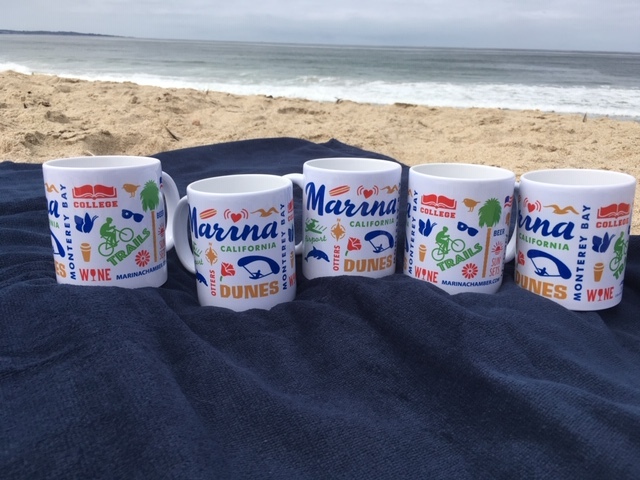 Hey fellow mariners, check out our new Marina merchandise! 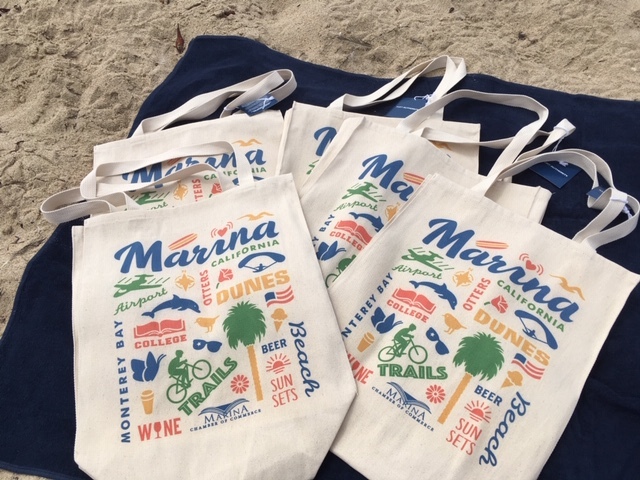 We are excited to announce that our new Marina merchandise is now available to the public for purchase practically at cost. 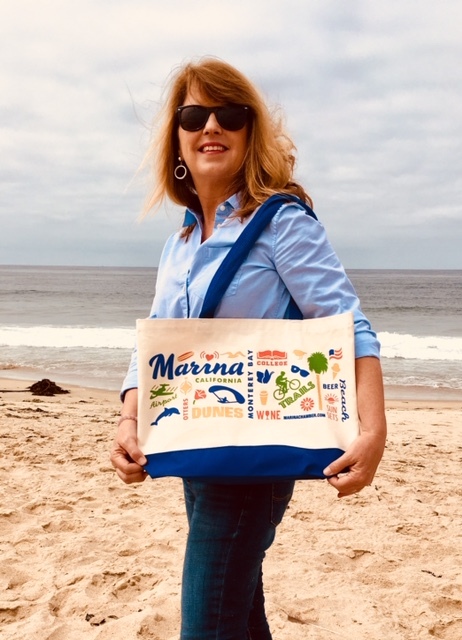 The new design is by fellow Marina Chamber of Commerce member, Susan Stensland of Stensland Design, who also designed the City of Marina logo as well as many other familiar local projects. 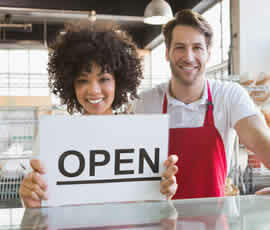 As always, Susan did a great job of capturing all the things that make our town special, in a cute and fun branded design. 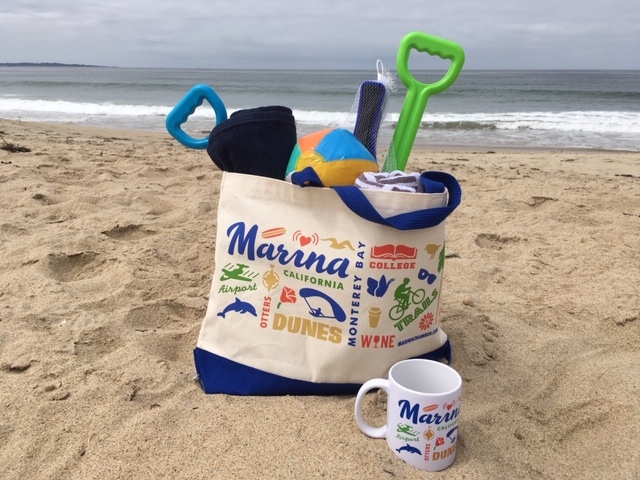 If you are interested in purchasing one of these products, please contact Ron Lebda at (831) 883-9172 or contact the chamber at info@marinachamber.com. 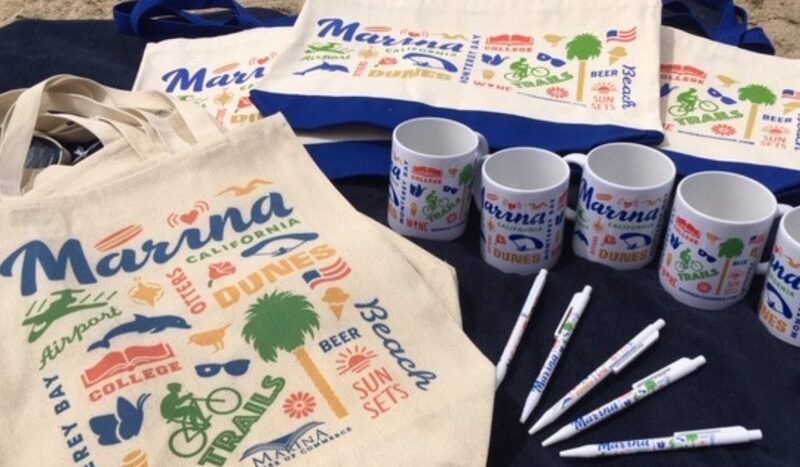 If you are interested in purchasing one of these products, please contact Ron Lebda at (831) 883-9172 or contact us at info@marinachamber.com.